Since she was a kid, Chelsea Islan has known Japan through animation films on television and Japan left beautiful memories of her childhood. Chelsea also admires the discipline of Japanese people that she witnessed when she visited Japan some time ago. In 2016, Chelsea Islan starred a television film “When You Wish upon a Sakura” with a Japanese actor Shu Watanabe. The television film was aired on Fuji TV and Waku Waku Japan. Although it was her first international collaboration, the enthusiasm of this young talented actress was strong. She enjoyed the collaboration process between Japan and Indonesia so much. Seeing Chelsea’s involvement in the film collaboration, the Japan Foundation, Jakarta appointed her official ambassador of Japanese Film Festival Indonesia 2016. Through Japanese Film Festival which is going to screen various genres of Japanese latest films, Chelsea would like to invite Indonesian people to get in touch with Japanese culture through a pleasant watching experience. 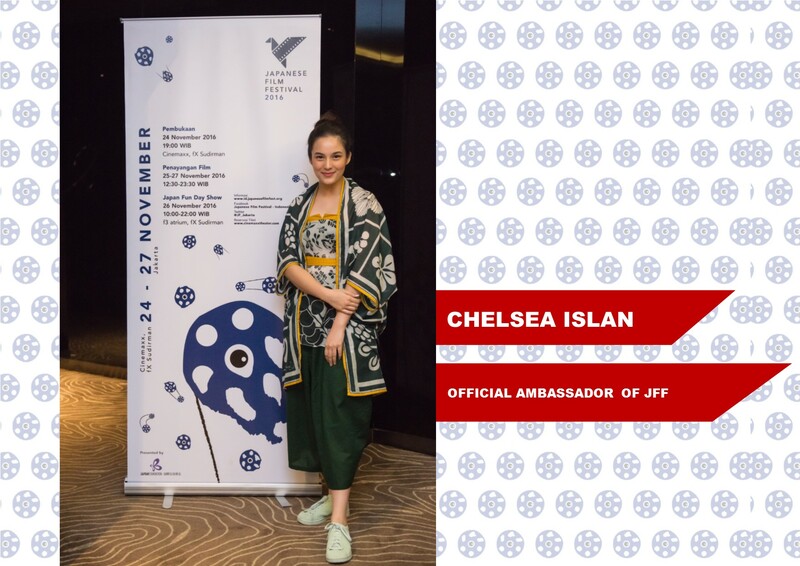 Chelsea also hopes that her involvement as the official ambassador of JFF 2016 will be a gateway to introduce Japanese culture to Indonesian people and vice versa through film. She was confident that film could be a good medium for knowledge exchange.